Springwood Park is located on the north side of Richmond, at 60 Waterfall Road. The park, formerly called "Conservation Park," spans 104 acres and features a 30-acre lake. Thistlethwaite Falls can be found just south of the park. The falls were man-made for milling purposes years ago. The mills no longer exist, but the falls remain. Learn more about Thistlethwaite Falls by visiting and reading the historical markers on site. 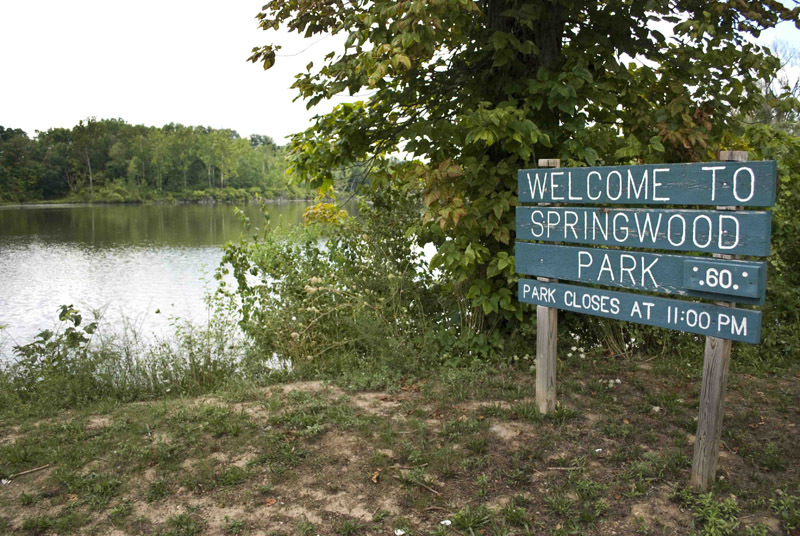 Springwood Park is the perfect location to have a party, birthday, family reunion, or any other event. Look through the Shelter Rentals to find the right location for you.